The security of your personal information is very important to CountyImports.com and we do respect it. 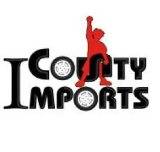 CountyImports.com is the sole owner of the information collected on this site and we never sell, rent or share your personal information to any third parties under any circumstances. Across our business, around the world, we will only collect, store and use your personal information for defined purposes and to support and enhance our relationship with you, for example, to process your purchase, provide service and support, and share product, service and company news and offerings with you. All information collected and kept will remain confidential. 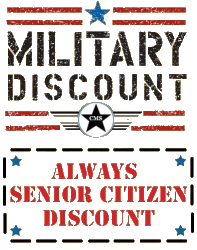 Information we may request includes your name, e-mail address, phone number, shipping & billing address, credit card details, customer preference information as well as other similar personal information. 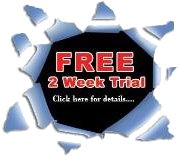 This information is used for billing purposes and to fulfill your order. If we have trouble processing an order or credit card transaction, this contact information may be used to contact the buyer or to get approval from the merchant bank. When you visit our site, you will be assigned a permanent "cookie" (a small text file) to be stored on your computer's hard drive. The purpose of the cookie is to identify you when you visit this Site so we can enhance and customize your online shopping experience. You can choose to browse on our site without cookies, but without these identifier files you will not be able to complete a purchase or take advantage of certain features of this Site. These features include storing your shopping cart for later use and, in the future, providing a more personalized shopping experience. Our use of this technology does not mean that we automatically know any information about you. We have no desire or intent to infringe on your privacy while browsing our site. We are committed to data security with respect to information collected on our site. We offer the industry standard security measures available through your browser called SSL encryption. Your information is protected both online and off-line. CountyImports.com provides a product-rating feature that allows customers to rate the quality of the product. Our review system also allows customers to leave written comments to further elaborate their experiences with the product. All ratings and review comments are pre-screened by a moderator before posting to the site. The moderator may choose to disregard or eliminate comments that do not meet the guidelines. Guidelines include that all comments are truthful and non-offensive. Guidelines do not permit the posting of personal information or information for the purpose of personal gain. All posted rating information and review comments are viewable to all customers browsing our site.